New POPE! White Smoke! Habemus Papem! 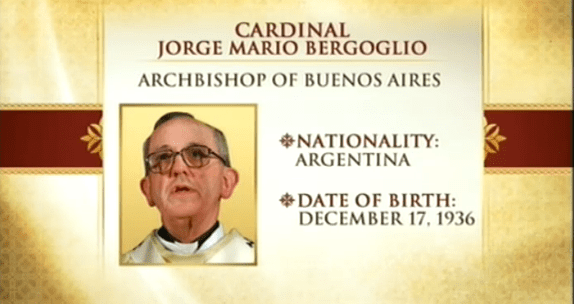 Cardinal Jorge Mario Bergolio of Argentina, He will be called Pope Francis I. This entry was posted on March 13th 2013 at 7:08pm/19:08 and is filed under Live News Column 1, World News. You can follow any responses to this entry through the RSS 2.0 feed.